Sincere thanks to everyone who took part or helped and contributed in any way at the annual Poc Fada held by Inniscarra GAA/Inniscarra Camogie Clubs on St. Stephen’s Day, 26th December, 2017. It was once again a great success, despite the weather conditions, with over 50 teams taking part. Whilst a bit of organizing goes into its staging, it has grown in status now on a yearly basis. There was a large attendance in Aras Tadg O’Muri for presentation of prizes and light refreshments where the mulled wine and hot whiskeys helped to warm those who braved the elements! On Tuesday night the 16th January, 2018, a presentation of the proceeds were made at the Wayside Inn. Sean O’Mahony, on behalf of the Poc Fada Committee, thanked everyone who took part and once again outlined its success, which is now running for over 21 years. 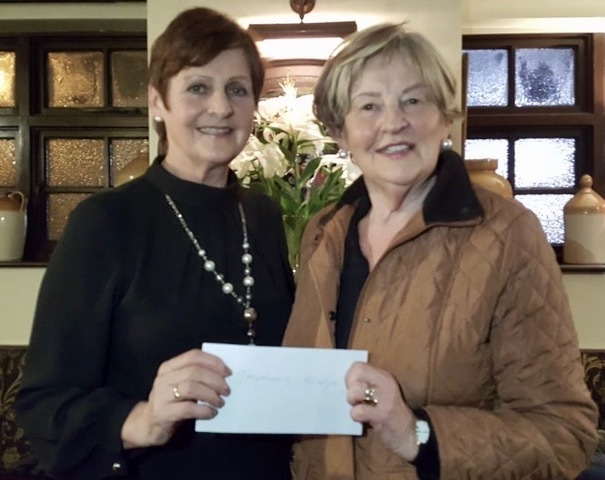 He said they were delighted to donate the proceeds to Marymount Hospice as everyone in some way or another have been touched by the wonderful work and services provided by Marymount. Dympna O’Connor presented the cheque to Anne Ellard on behalf of Marymount. Anne thanked the Poc Fada Committee for their continued support, and it was a pleasure to be associated with the Poc Fada, and the support it has given Marymount over the years, as all donations, no matter how big or small, are greatly appreciated. She said a lot of funds are required for the successful running of the Hospice. 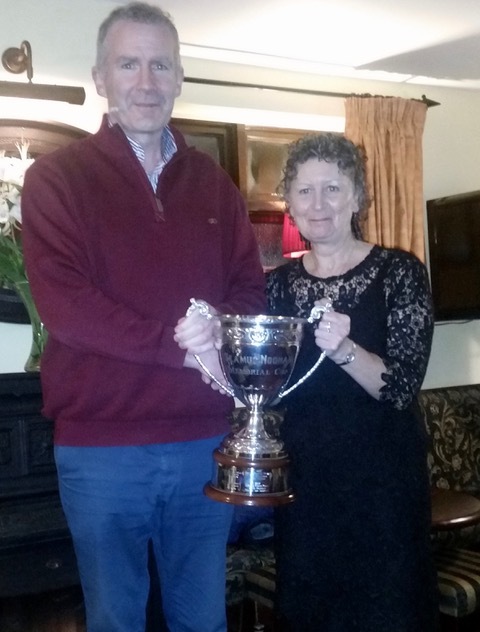 Mary Noonan presented the “Seamus Noonan Memorial Cup” to Daire Holland on behalf of the winning team. The Poc Fada Committee would also like to thank The Wayside Inn for their hospitality on the night.